This entry was posted on December 3, 2014 by David Tetlow. 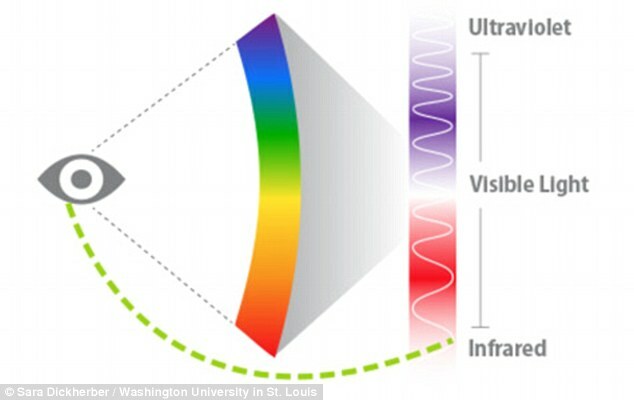 New research has found that the human eye may be able to see infrared light. A team of researchers, co-led by Scientists at Washington University School of Medicine in St Louis, found that by rapidly firing powerful lasers that emit pulses of infrared light the retina was able to pick up the infrared light that is usually out of the visual spectrum. The research began when the scientists on the research team reported seeing flashes of green light while working with an infrared laser. The laser was emitting light waves previously thought invisible to the human eye. A scientist at Washington University, Frans Vinberg, said: "They were able to see the laser light, which was outside of the normal visible range, and we really wanted to figure out how they were able to sense light that was supposed to be invisible. We experimented with laser pulses of different durations that delivered the same total number of photons, and we found that the shorter the pulse, the more likely it was a person could see it. Although the length of time between pulses was so short that it couldn't be noticed by the naked eye, the existence of those pulses was very important in allowing people to see this invisible light."